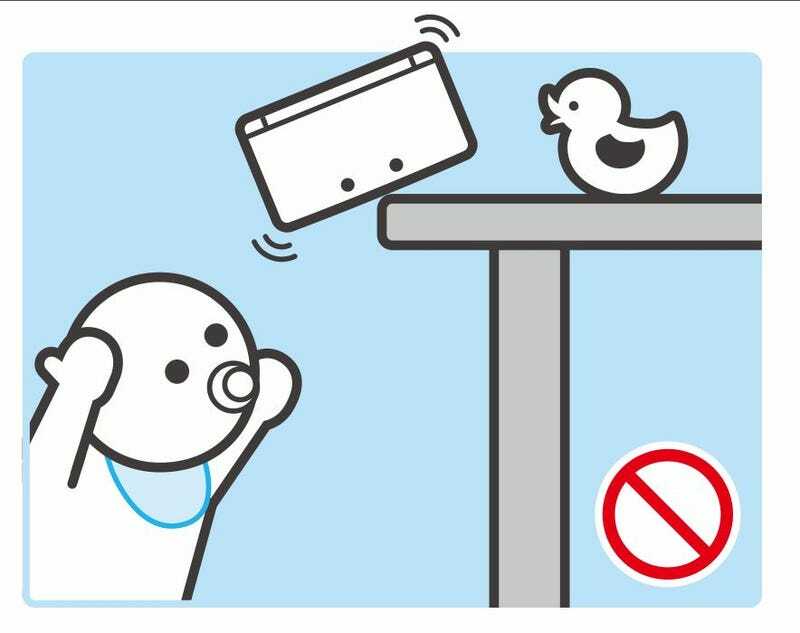 The Nintendo 3DS arrived in Japan Saturday, bringing with it a couple dozen hee-larious safety warnings, in the kind of universal visual esperanto-for-illiterates that you see on airplane safety cards. If this isn't the most exploitable batch of drawings we've ever offered, we should just stop having 'Shop Contests. Browse that gallery for one you like or, if it's easier, just download this zipped file of all 20 and go to town. Instructions? This is self explanatory. And I wasn't joking when I said I expected this to set a record for entries. Now, in yesterday's mea culpa, a lot of you raised the valid point that the changes to how images are uploaded in comments, under the new redesign, may be discouraging to participation. I want to make this as easy as possible for everyone. This is your no-frills step-by-step procedure to participate. 7. You can add editorial commentary if you want, but you can hit submit and your 'Shop entry will be uploaded to the comments. Now that we've gotten that addressed, you know the rules: The 20 best will get rounded up and published at the end of next Saturday. Meantime, I and the rest of the starred commentariat will approve and promote as many as we can so folks can see them and pass judgment. Thanks. Now get to it!